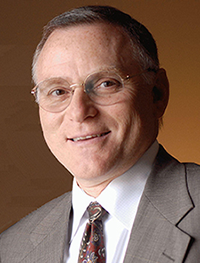 Jeffrey L. Forman, Esq. – Kauffman and Forman, P.A. Jeffrey L. Forman has been in practice with the firm and its predecessors since 1979, except for a two year stint working as Director of Administration for a prominent Baltimore real estate developer. Jeff’s practice is largely focused in the areas of real estate law, business and corporate law, construction law and estates and trusts. Jeff has an active litigation practice, and on behalf of corporate clients, frequently is called upon to litigate in out of state courts. He has litigated cases in most counties in Maryland as well as Florida, New Hampshire, Massachusetts, Virginia and North Carolina. He is regularly retained as co-counsel by domestic relations lawyers when complex business or financial issues arise in divorce cases. Jeff has also been lead counsel in over forty five appeals in both State and Federal courts. Bond v. Polycycle, 732 A.2d 970. Fister v. Allstate, 783 A.2d 194. McCabe v. Medex, 786 A.2d 57. Renbaum v. Custom Holding, Inc., 871 A.2d 554. Hill v. Cross Country Settlements, 936 A.2d 343.